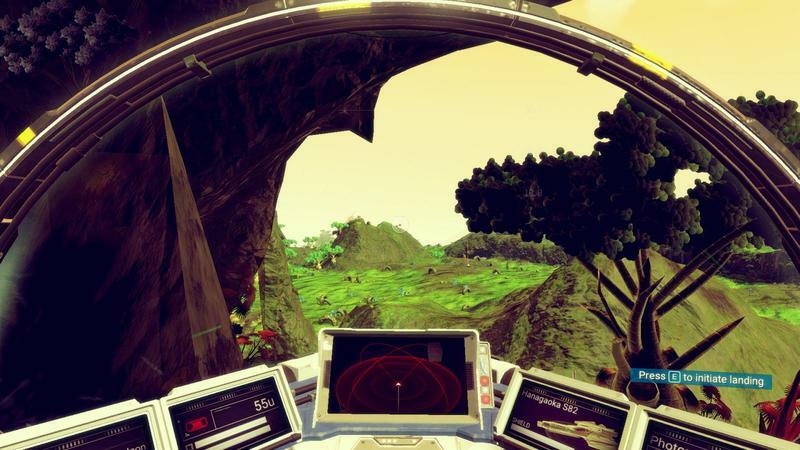 PC owners playing No Man's Sky might want to look into a mod by a user named Hytek. It's called Lowflight, and it makes it possible to fly your ship all the way down to the ground. One of the more frustrating aspects of No Man's Sky's flying is that it feels dumbed down incredibly hard. It's essentially impossible to crash land on a planet (despite the fact that the game opens with you having crash landed), and PC players are having a heck of a time fighting the auto controls in order to maneuver more efficiently. This Lowflight mod will let you fly right up to the surface, and that makes it possible to enter larger caves, pass below objects and even enter water. You can take critical damage while doing this. Furthermore, the game's clipping design wasn't meant for your ship, so prepare to get stuck. You can find the mod here, and scrolling down a bit will reveal some seriously simple installation instructions.